Here’s proof high school stereotypes are a thing of the past. 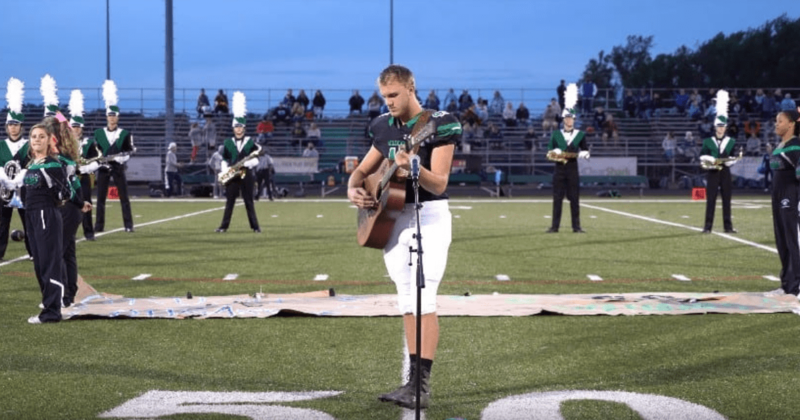 In a scene that could be straight out of Glee, a tall and handsome high school football player, dressed for a game and donning an acoustic guitar, wows a crowd of people with a fantastic rendition of the national anthem. He would go on to impress more people when the video of him singing goes viral online. 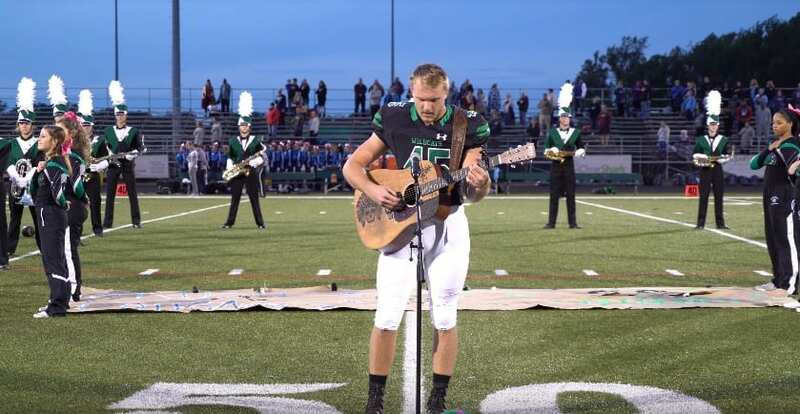 In his pre-game performance, Jackson Dean Nicholson entertained the crowd with his acoustic and country-style version of the national anthem before taking on the field as a senior defensive on the football field. And as you can hear towards the end of the video, the people who came to the game loved his unique version of the song. – Nicholson in an interview with the Baltimore Sun. No wonder that the video gained thousands of views across Facebook, Twitter and YouTube since its posting on social media. The story has even been picked up by local radio stations in Maryland where Nicholson goes to school and other media outlets. In fact, his video has also reached national news after being featured on Fox News. 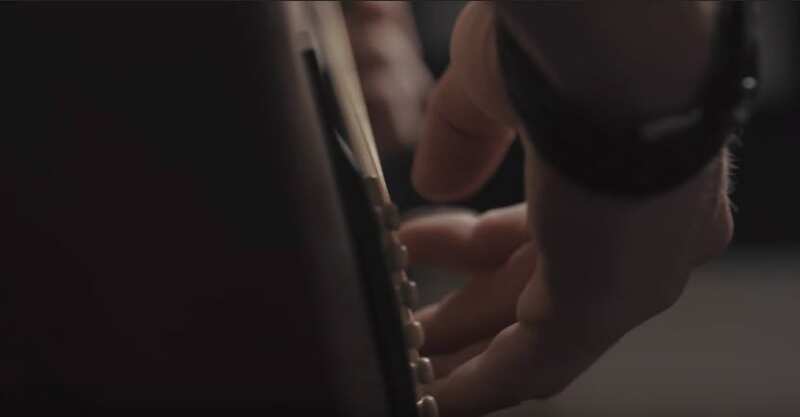 Aside from playing football for his high school’s team, Nicholson spends his time making music, as evident from the other videos on his YouTube channel. 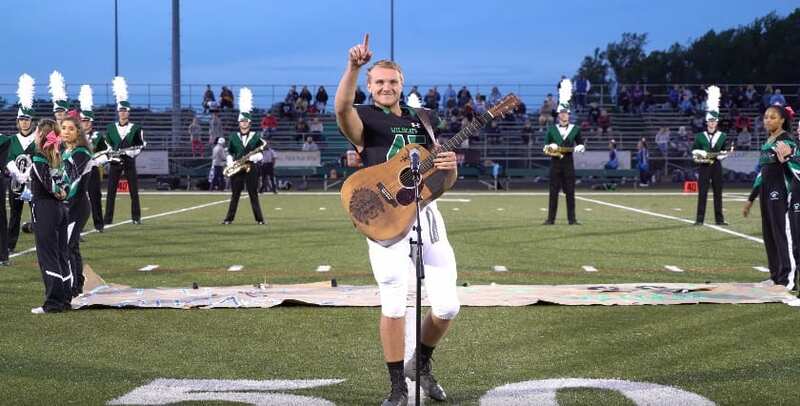 In fact, he’s currently busy with writing and recording some songs on an album he’s working on ever since he was just a freshman at Arundel High School. He has even made a music video for one called ‘Man Upstairs’ which was recorded with Champion Studios. See and hear it for yourself! Clearly, Nicholson isn’t the typical jock that we often see in Hollywood teen movies. He’s a multi-talented individual with big dreams of making it in the music industry. Unlike the other guys on his team, Nicholson doesn’t dream of being a pro football player after his stint in high school football is over. He’s made different plans for himself. 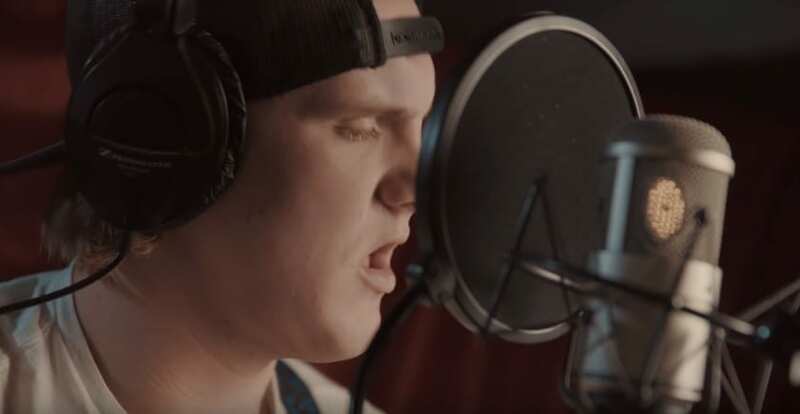 He is set to make the move to Nashville to finally start his music career saying that he’s already got some meetings set up once he gets there. The singer uses the stage name Jack Dean so as not to be confused with the popular actor who he shares his name with. And we hope he makes it. The attention he’s getting now would surely give him the boost to get an audience for his music. For now, we’ll be on constant watch to hear Jack Dean’s songs played on radio and television. What do you think of Jack Dean and his story? Tell us your thoughts in the comments below!